It works really well. The quality is suprisingly good and the battery power is decent. 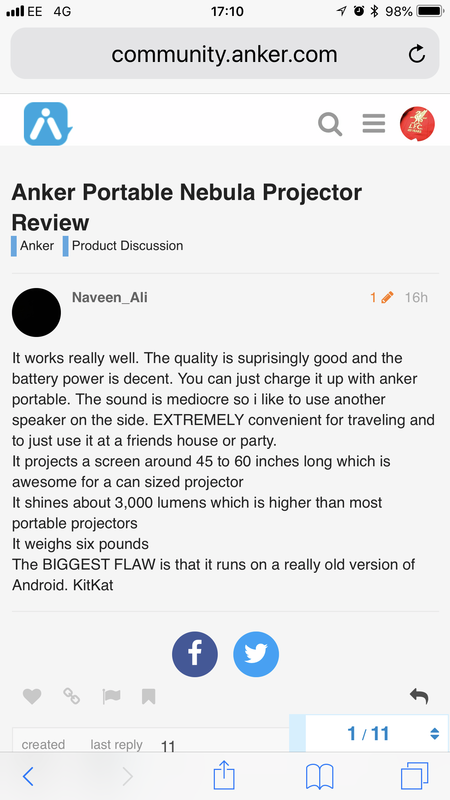 You can just charge it up with anker portable. The sound is mediocre so i like to use another speaker on the side. EXTREMELY convenient for traveling and to just use it at a friends house or party. Ask any questions on your mind. You can connect anything to it using an hdmi cord. It is very expensive but if ur willing to buy it for $349 I'd say go for it. There is an edit ability to your posts so you can go back in and improve your post. So you do not need to keep replying to your own posts. What you just did of create your own thread and replying to yourself may have earned you at most 25 Bucks. I recommend you stop doing this as your account may well be closed and all your Bucks gone and you can no longer be able to use those Bucks in your closed account. Please engage in the community in good spirit. You have a Nebula - great, please take photos so we can see and show how well it works in different situations so the community can benefit from your experience. If you want to add or edit your posts to include more information the use the little pencil icon underneath your post and add/edit. By adding lots of one liner posts on every topic you are spamming for points. Or it would seem so. I didn't know u could edit like that because im kinda new at this. 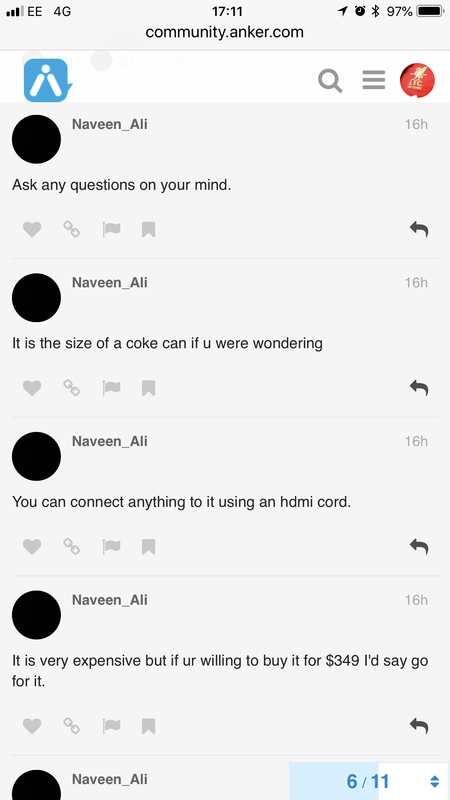 @Naveen_Ali Granted you are relatively new but you have also been advised by several members, two mods and one admin about your posting behaviour yet today it continued. Members are only ‘assuming’ based on the fact you have mentioned needing bucks several times in your posts. I suggest drawing a line under this, consult the rules you have been guided to and enjoy and contribute to the community constructively...sound good? We were all noobs once. Been there. We are here to help. This forum has the ability to go back to your original post, and edit it multiple times, making it better and better. Then your review ends up great and then becomes the de-facto review for others to beat. To reply to your own posts means it looks visually bad, you spread out the great value of your experience over many short replies. In my reply to you I had assumed you did not know you could edit your original post, it is fine, you are new, so I simply pointed you to the edit button. Looking forward to reading both your future reviews and helping make them better. We in this community got better from mutual support.